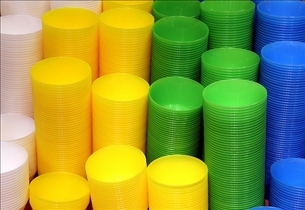 Bisphenol A and phthalates are two widely used substances in modern industry, although their use is coming under increasing criticism. With numerous studies suggesting that they may be harmful to human health on the one hand, and chemical companies insisting that they are harmless on the other hand, there is some confusion as to which point of view is valid. In this comparison article, we aim to clear the issue. Bisphenol A or BPA is an organic compound composed of two phenol functional groups. Bisphenol A is commonly used in the production of polycarbonate plastic and epoxy resins, and it has many other uses as well. Phthalates are phthalic acid esters that are typically used as plasticizers, they are typically added to plastic to make it more flexible, transparent, durable, and longer lasting. 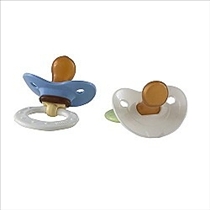 Phthalates are also used to make polyvinyl chloride softer. Various plastic products that contain bisphenol A have been in widespread commercial use since 1957. In fact, it is estimated that as much as 8 billion pounds of BPA are used in various products every year. Some of the more familiar products that contain bisphenol A or those in which it is an essential component in production are epoxy resins and polycarbonate plastic. This latter is commonly used in a wide variety of products such as baby bottles, water bottles, sports equipment, medical equipment, dental fillings, sealants, and equipment, lenses for eyeglasses, electronics devices, and CDs and DVDs. Epoxy resins are often used to coat the insides of nearly all cans used for food and beverages. In recent years however, concerns about the safety of bisphenol has resulted in many countries replacing it with PET film. Phthalates are also used in many products, from pharmaceutical pill coatings to gelling agents, and it is also widely used in the manufacture of photographic film. Phthalates is also used in building materials, medical equipment, detergents, toys, modeling clay, paints, inks, pharmaceutical products, food products and many more items. Both bisphenol A and phthalates have been subject to numerous criticisms and controversies with regard to their safety. Bisphenol A has been identified as estrogenic since the 1930s. It wasn’t until 2008 however when concerns about its use began to surface in the media following several governments reports that questioned its safety, particularly with regard to its exposure to fetuses, infants and young children. Canada was the first country to ban bisphenol A usage, which it did so in September 2010. The European Union soon followed suit. Active phthalates are also known to produce adverse effects on the reproductive system of laboratory rats. These substances cause toxicity in developing rat fetuses when they are exposed to during a critical period during pregnancy, causing malformations that increase in severity with increased doses. Which industrial toxin is more dangerous to people? Please do your research: BPA has NOT been banned in Canada, except perhaps from baby bottles (don't quote me on this). It has, however, been declared as toxic, which doesn't really change anything at the moment as no new legislation regarding its use has been enforced.